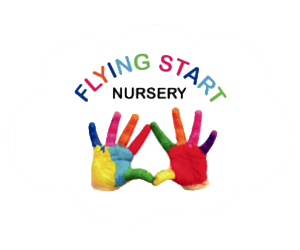 The Flying Start Nursery in Glasgow was opened in April 2015 and is family owned by Dann and Lorraine Slater, who have 3 children of their own. The former library is situated in the heart of Barmulloch and has been extensively refurbished and modified to a high standard to meet the various needs of all children, with a particularly caring and friendly ethos. The building is enclosed by purpose built gardens, comprising of raised flower beds, sand pits, a variety of surfaces suitable for all ages and role play opportunities. Our gardens can be sectioned off to allow the younger children their own space, whilst still feeling included in the full outside experience. Inside, the building is bright, airy and clean with a happy and calm atmosphere. Our staff team work well with families to ensure they are fully consulted about every aspect of their child’s experience at the nursery. We believe our greatest asset is our staff team who are all registered as Childcare Practitioners with the Scottish Social Services Council. They are all members of the PVG (Protecting Vulnerable Groups) Scheme. The Garden – All rooms have direct access to the gardens, allowing the inside activities to readily flow between inside and out. Outside activities provide imaginative experiences using the castle and boat as well as sand and water, planting and growing, free space for running and physical activities. Literacy & Numeracy – the fundamental basis for all education. Our children can have fun with letters and numbers, learn new vocabulary or learning about the properties of water and the natural world around us. Art & Craft – our children can experiment with colour and texture whilst expressing themselves using many different materials. Cooking & Baking – visit our kitchen to experiment with food, see your mixture change into something nice to eat or learn about which foods help us to grow and develop. This is a developing Nursery where ideas and activities are constantly being added to enhance your child’s learning and development.